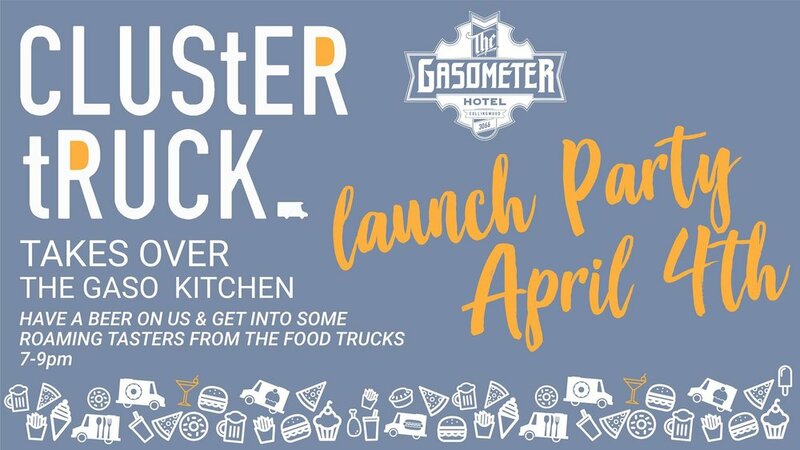 Cluster Truck are partnering up with the Gaso to bring you a gastronomical treat! Over the next 6 months, some of Melbourne’s best food truckers will be taking up residency in the The Gasometer Hotel kitchen and serving up their much loved fare to hungry punters. Come down on Wednesday 4th April for a bloody ripper party to celebrate. Have a beer on us and tuck into some tasters from the truckers. All welcome, but places are limited so get down early for the best possies.